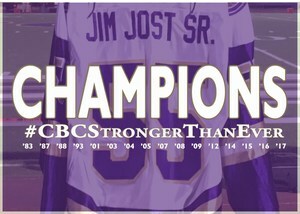 The CBC Cadets are champions once again! 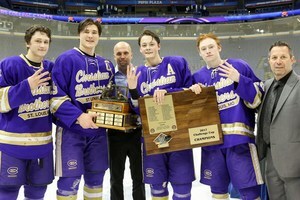 Our hockey team claimed their fourth straight title (and third consecutive over the SLUH Jr. Bills) in a 4-1 victory on Wednesday, March 8, at the Scottrade Center. The win delivered a record 16th Mid-States Challenge Cup championship to the Cadets’ storied program. Seniors Clayton Dawe, Bud Winter and Noah Roofe all scored goals while goalie Jack Caruso and defensemen Ben Jones and John Serafin kept the Jr. Bills scoreless until the final minute of play. 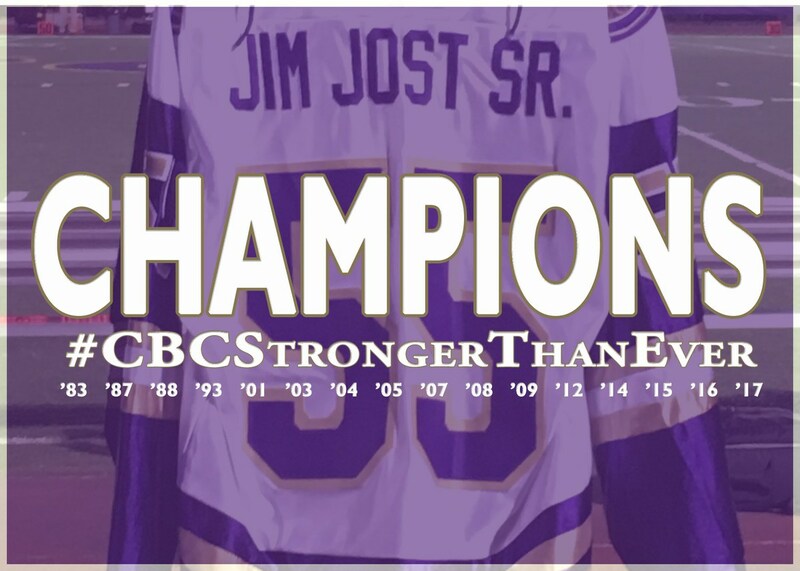 Congratulations to coaches (and CBC alumni) John Jost, Randy Staub and Nick Carosello and the entire Cadet Hockey team on this incredible accomplishment!